Lyubov Orlova, the opulent cruise liner that has brought misfortune to its recent owners, has not been found after disappearing almost three months ago, and may never be seen again. In January, the 4000-tonne Lyubov Orlova, which once provided luxurious trips to the Arctic and Antarctic for up to 110 tourists, was being tugged from Newfoundland in Canada to the Dominican Republic to be sold for scrap metal, when the tow line broke during a storm. Unable to reconnect it despite several attempts, the towing boat sailed away from the vessel, whose opulent interiors had been destroyed by marauding rats. The ship was picked up by an offshore supply vessel within days, but let go, when it was declared no longer a danger to oil facilities, but too expensive to maintain at a port. Afterwards it drifted in the north Atlantic without a working GPS signal. It was spotted several times by satellite, assumed to have sunk, then was seen again, but not a single observation has been made since March 14. This may be the last chapter in the life of a troubled ship. “I would assume that if it hasn’t turned up by this point, or hasn’t been spotted at any point, then it may be lost and has sunk somewhere between here and Ireland. But who knows?” said William Cahill, head of the Canadian Bar Association’s maritime law section. 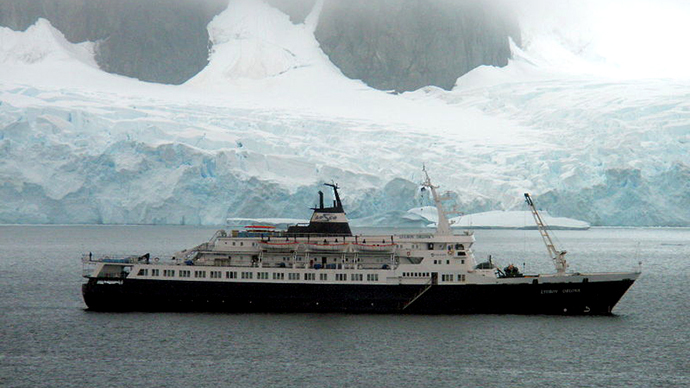 Alongside sister ship The Sea Adventurer (which ran aground in 2010, but continues to sail today) Lyubov Orlova was built on a Soviet commission in a Yugoslavian shipyard in 1976. It is named after one of Joseph Stalin’s favorite Russian actresses. After the break-up of the USSR it was refurbished lavishly several times and chartered by a large American expedition company. In 2006 it hit an underwater rock, forcing lengthy repairs. Four years later, it was arrested by Canadian port authorities when its Russian owners went bankrupt. An angry Russian crew owed more than $300,000 was stranded in St.John’s in Newfoundland. 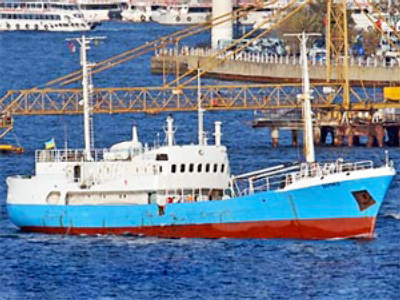 The once proud ship was auctioned off for $275,000 to an opportunist businessman Reza Shoeybi, who planned to take it and sell for scrap metal for up to $800,000. Locals were skeptical, as the ship’s condition deteriorated while in the dock, and it began to list. Repair works were conducted, but the tug boat picked for the job was not powerful enough, and it only took one day for the tow rope to break. Shoeybi says he has been “ruined” by the failed venture, which ate up his 12-year savings. Lyubov Orlova’s emergency position-indicating radio beacon (EPIRB) was activated 700 nautical miles west of Ireland in late February. 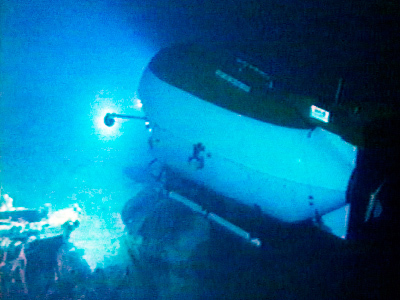 The beacon is set off when the ship’s hull touches the water. Irish coastguards assumed that this meant the ship had sunk. But two weeks later, the cruise liner was detected again, still above water. Whether this means its hull was filling slowly, or that the beacon malfunctioned, is not clear. If Lyubov Orlova is underwater, French ocean environmentalists Robin des Bois say she may still present a danger. "In case of a collision or sinking or any accident, the Lyubov Orlova will immediately release fuel … other toxic liquids, asbestos ... mercury and other non-degradable floating waste," said a statement from the group. Despite the ship being considered sunk by maritime officials, it is not unusual for vessels to reappear months, or even years after they have been abandoned. 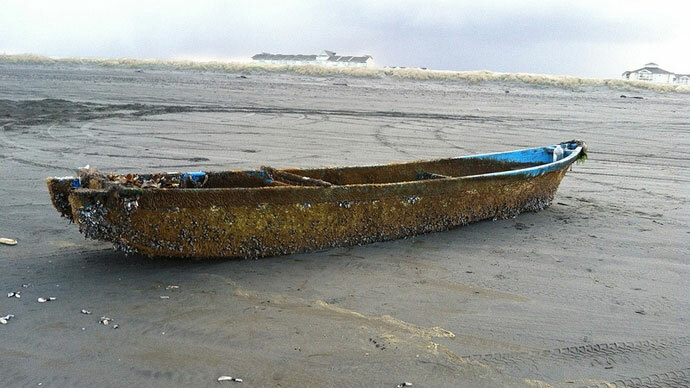 A fishing boat from the coast of Japan detached by the tsunami in March 2011, was destroyed a year later when it washed up on the Canadian coastline, and several more smaller vessels have since been found. A special website on which volunteers scan ocean reports for news of Lyubov Orlova is still active, while a Twitter account in the name of the liner continues to post messages from the depths. Is okay everyone, Orlova still drifting but have been preparing for blind date with Titanic. Is very nervous but also very excite!